6 diamond and 1 emerald ring. 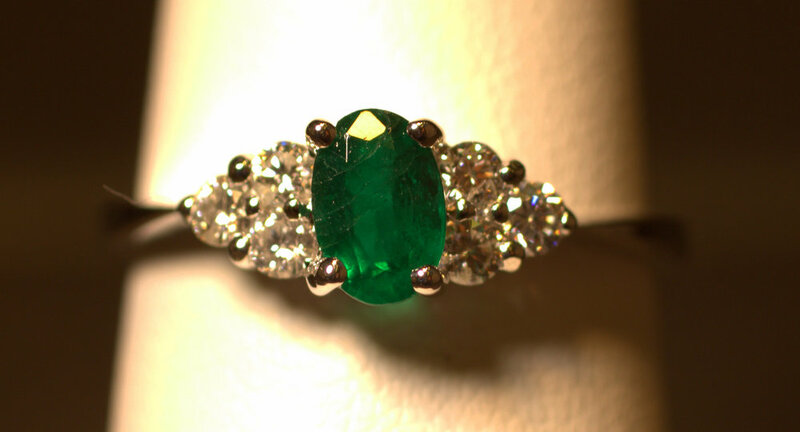 The oval emerald has 3 diamonds on either side. These bright white diamonds accentuate the nice darker green emerald. This piece is made in white gold and is a great modern take on a classic 3 stone ring.